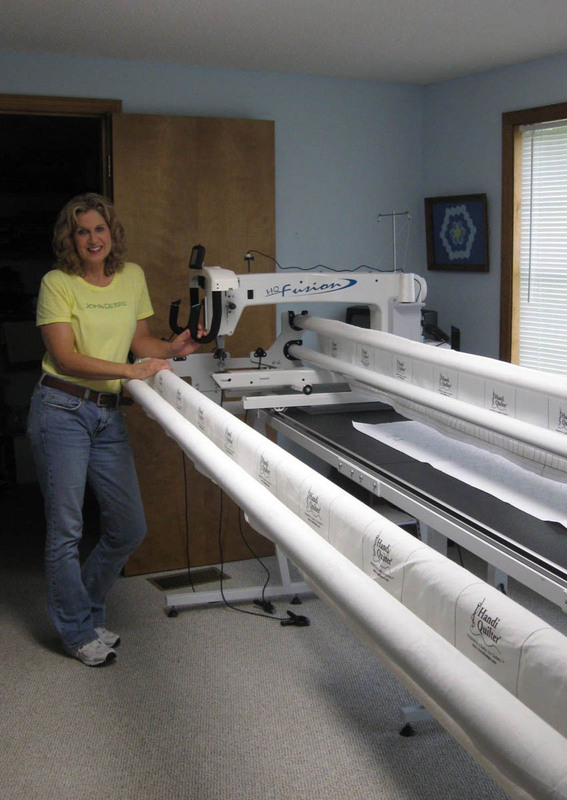 During my travels as a Blank Quilting fabric rep, I've had the pleasure of visiting with a few long arm quilters. 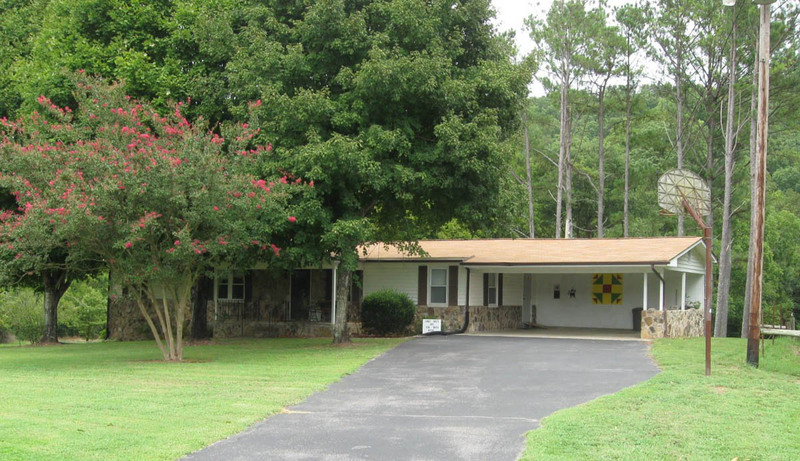 One of them, Lana's Quilts and Sew Much More, is located in Cleveland, Tennessee, and is surrounded by the beautiful countryside of Red Clay Park. 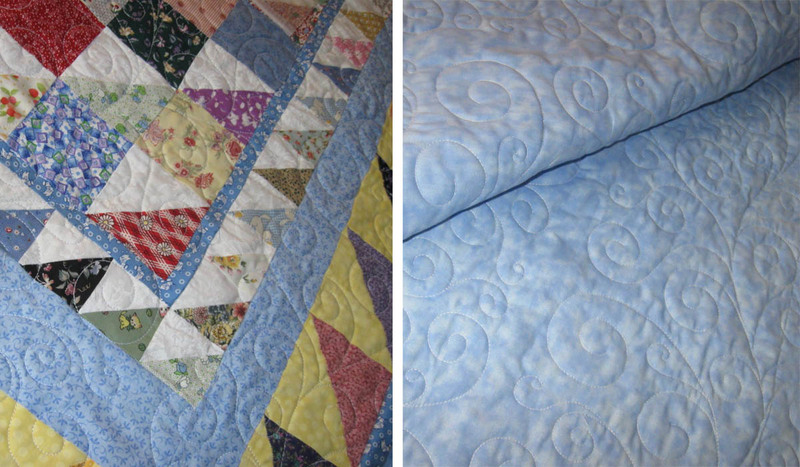 After retiring from working at a dental office, Lana, a warm and delightful person who is full of enthusiasm about sharing her love of quilting with others, teamed up with her friend Betty, and the two decided to convert a house on their property into a quilting studio and make a dream of having a quilting business a reality. 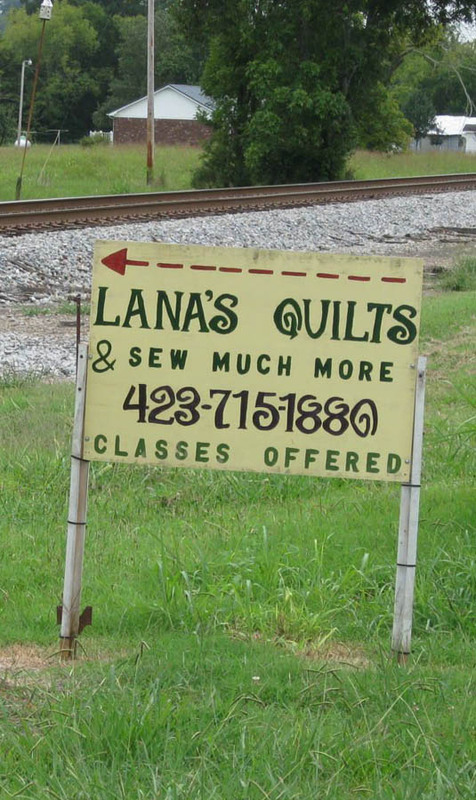 Lana's Quilts and Sew Much More offers quilting classes for beginners as well as machine quilting services and wide backings. Lana and Betty, as well as Betty's husband, all do machine quilting on two long arm machines. 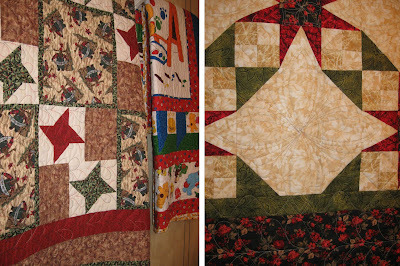 A favorite class at Lana's Quilts incorporates the classic Ohio Star quilt block. 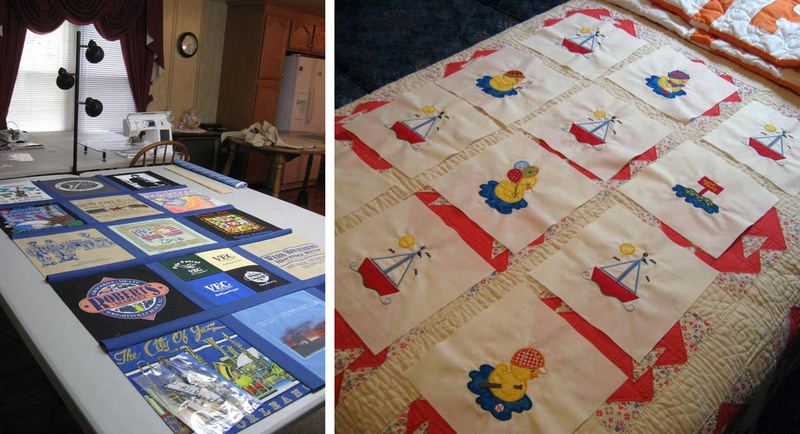 Other sewing and quilting classes include making embroidered burp cloths, pillowcases, T-shirt quilts and embroidered quilt blocks. They also enjoy redwork stitchery. 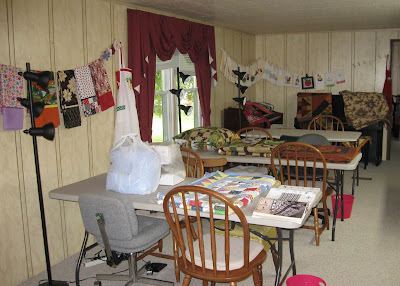 Classroom at Lana's Quilts and Sew Much More. The classroom is open and bright and can accommodate up to 8 students with sewing machines. 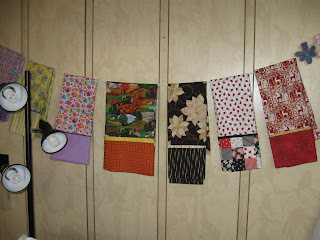 Examples of projects from the pillowcase class. 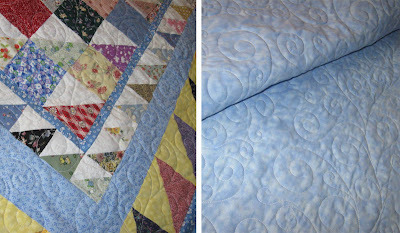 Beautiful machine quilting (front and back). During my visit, Lana showed me some WIPs (works in progress): a T-shirt quilt and a toddler quilt made of embroidered quilt blocks with a nautical theme. T-shirt quilt and embroidered quilt blocks laid out in preparation for the sashing. To spread the word about their quilting classes—and how creative and fun quilting can be—the two women hold demonstrations at the Red Clay Park. They have also opened the classroom to host a guild meeting for a local quilt guild—complete with homemade apple and peach pies. What more can you ask for? Lana at her long arm. If you take a trip out to visit Lana's Quilts, look for the large 9-patch quilt block painted on the back of the carport. You'll know you have arrived! ... and maybe there will be something scrumptious baking in the oven, too. You never can tell. 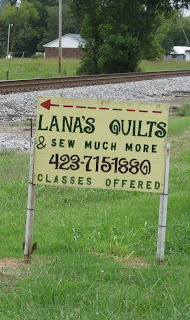 Lana's Quilts and Sew Much More, Cleveland, TN.